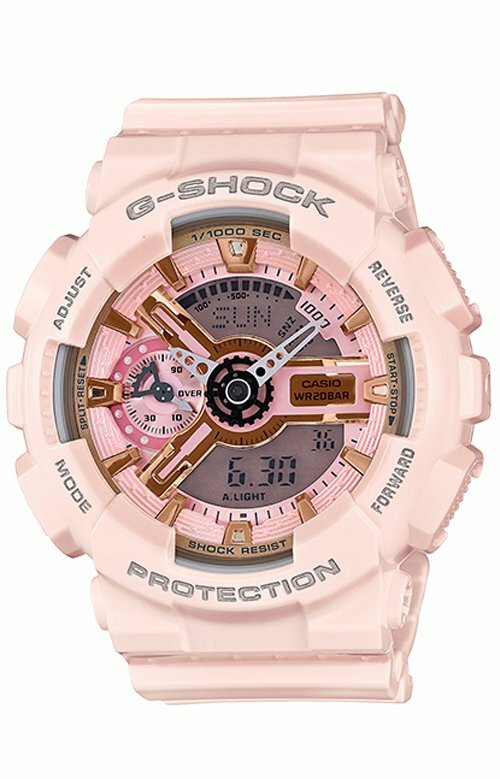 GMA-S110MP-4A S Series Watch by G-Shock. Introducing the new S Series, created for the influential, fashion forward woman that seeks a sportswear-inspired toughness to add to her modern style, while valuing advanced technology and precision in a fashion accessory piece. The GMAS110 is equipped with an Auto LED light, Magnetic Resistance, 4 daily alarms, 1/1000th stopwatch and a Speed Indicator.